William lit his cigar, darting a guilty glance at the door to his sitting room. It was closed, but Gran had a discerning nose and an antipathy for cigar smoke. Only Richard would have been reckless enough to bring cigars into the house, even with William’s engagement as a pretext for celebration. Richard sat across from William looking utterly in his element, a cigar in one hand and a glass of cognac in the other. He was the first person besides William to try out the plush new armchair on the opposite side of the fireplace. The sitting room would need to accommodate two from now on. “I beg your pardon.” William turned a narrow-eyed glare on Richard. He wasn’t offended, but he knew Richard would be disappointed if he didn’t act the part. “Thank you.” William inhaled the rich bouquet of the cognac and then tasted it reverently. Smooth and dark, it seeped lazily through his veins. But Richard’s take on the Darcys gnawed at the edges of his contentment. Elizabeth would indeed have plenty to deal with as his wife, including one thing neither she nor Richard knew about. He didn’t think it would change her mind, but he dreaded telling her all the same. “I’m touched by your sacrifice,” William said dryly. “Everything makes me wish I’d stayed at Pemberley.” Richard had surprised everyone by flying to Barbados on the day of William’s recital. He had returned to New York only a few hours ago, wearing a deep tan and a lazy smile the family hadn’t seen in weeks. William couldn’t argue that point, not that he intended to wait until New Year’s Eve for some intensive … celebrating. He sat back and closed his eyes, indulging one of his favorite fantasies: Elizabeth, lounging in his bathtub amid thick clouds of fragrant bubbles. She held a glass of champagne in one hand and beckoned him with the other, her eyes half-lidded with desire, her smile full of lascivious promise. He let out a soft groan before he could stop himself. “They don’t call it that in Family Court, but essentially, yes. The judge made sure Georgie understood the charges, and set a date for the hearing—that’s what they call it, but really it’s a trial.” William was learning more about the juvenile justice system than he had ever wanted to know. “There are two complications. First, technically it’s a felony because of the dollar value of the items she …” William still couldn’t bring himself to say the word “stole.” He fell silent, staring into his glass of cognac. “Georgie’s attorney thinks something strange is going on with Courtney.” Victor Rossi had stopped by the house the day before to deliver this unwelcome news, and William had been brooding about it ever since. Elizabeth stepped onto the patio at her parents’ house and shut the doors behind her. They were French doors, mostly glass, but they helped to muffle the shrill voices bouncing off the kitchen walls. To her surprise, all her sisters had arrived in time for the family’s Christmas celebration, held four days early to accommodate Elizabeth’s travel plans. For better or worse—and it was definitely some of both—the house was crammed with Bennets. Dinner had been a chaotic but cheerful affair. Mrs. Bennet, her spirits launched into the stratosphere by the news of Elizabeth’s engagement, had spent most of the meal prattling happily about massive wedding cakes, designer wedding gowns, and illustrious in-laws. She had occasionally interrupted her monologue for a breathless question, but had rarely awaited an answer. Elizabeth hadn’t minded the fuss, largely because William hadn’t been there to witness it. Besides, she couldn’t remember the last time her mother had spoken to her with such obvious pride. Who knew? All I had to do to be her favorite daughter was to snare myself a millionaire. But after dinner, the noise had escalated to toxic levels. The World Championship of Loud, Fast Talking seemed to be in progress in the kitchen, with Kitty doing her best but being entirely outclassed by Lydia and their mother. Finally, her nerves frayed almost beyond repair, Elizabeth had handed Mary her dish towel and escaped onto the patio. The clear sky promised falling temperatures later, but for the moment the air held only a hint of a chill. She gazed up at the moon, awed by the thought that the same fragile-looking crescent shone over Manhattan. William might be watching it even now. Perhaps tomorrow they would admire it together from the townhouse rooftop. 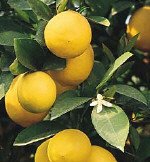 Three citrus trees stood clustered at one edge of the tiny lawn, as though gossiping about the neighbors they could glimpse over the top of the redwood fence. In her childhood Elizabeth had loved to climb up and balance precariously on top of the fence, until the day she had attempted to imitate a tightrope walker she had seen at the circus. She had tumbled off the fence and into the yard next door, breaking her arm in the process. No wonder Mom gave up on ever turning me into a lady. She wandered over to the trees, her progress guided by the patio lights that cast ghostly shadows across the lawn. Mary had hated the yard after dark, convinced by a long-ago babysitter that monsters lurked in the shadows. Elizabeth blushed at the memory of teasing her timid sister with tales of hulking fiends she had seen prowling outside the bedroom window. Every object in the yard—a tree, a watering can, a rusty lawn chair—evoked memories as she wandered along. Strongest of all were images of her father on some long-ago winter morning, leaning over to place lemons and oranges in her small, eager hands. “I suppose this year I’ll have to do it myself.” He spoke in a matter-of-fact tone, but his words seemed to hang in the air, opening a gulf between them. “I’m sorry, Dad,” she said softly. “William and I intended to be here Christmas Eve. It’s only because of his family issues that it didn’t work out.” Given her mother’s talent for gossip, she hadn’t shared the details of Georgiana’s problems. “Why do you ask?” She squared her shoulders and faced him. “You can’t possibly think I’m marrying him for his money.” She hadn’t expected such an insult from her father. “I don’t understand—” But then, suddenly, she did. He continued, not seeming to hear her. “I was worried about you, that night at the rehearsal dinner. He spent most of the evening watching you, even during dinner, when you were at another table. Not that I blamed him; you lit up the room that night. But given his fascination with you, I was afraid he might try to take advantage of your … ” He hesitated, frowning. Elizabeth winced. She had returned from Crissy Field that morning simmering with rage. She winced again. She had been hurt and humiliated by William’s apparent rejection, and had done her best to convince her friends—and herself—that he didn’t deserve her attention. “I didn’t mean to be so secretive, but …” But she hadn’t trusted William, or her own feelings. “You’re just afraid you’ll have to support them,” she teased. He didn’t respond, except with a slight nod. She nodded, feeling an ache in the back of her throat. She sniffled again and flicked a teardrop away from the corner of her eye. Elizabeth glanced toward the house and saw Jane in the doorway. “Why, thank you, kind sir.” Smiling, she took his arm. She darted a sideways glance at him and saw his lips twitching. Laughing together, they passed through the patio doors, instantly enveloped by the good-natured insanity within. William hated the fact that friends and family couldn’t meet arriving air travelers at the gate, but instead had to wait outside the security area. He stood along the wall, anxiously craning his neck to see as far as possible down the dimly-lit concourse. At least the airport was reasonably quiet. No doubt it would be thronged with holiday travelers later in the day, but so early in the morning there were few arriving flights. Finally he saw her hurrying toward him. A few seconds more, and he swept her into his arms. They held each other in blissful silence. She felt even softer and warmer than he remembered. Elizabeth raised her head from his shoulder and beamed up at him. “Why are you laughing?” he asked, brushing a stray hair off her face. Her joy was infectious, and he found himself chuckling without knowing why. “It’s good to see you, Allen.” Elizabeth offered him her hand. “Marcia and I were so pleased to hear that you’re going to be part of the family.” He patted her hand with fatherly affection, astonishing William. Allen ordinarily behaved with dignified formality with everyone. Once they were in the car and on their way back to Manhattan, William gathered Elizabeth into his arms. Heedless of Allen’s presence in the front seat, he kissed her, long and deep. By the time he lifted his head, her face was flushed and her eyes held the soft, drowsy look he loved. “I can’t begin to tell you how much I’ve missed you,” he murmured, stroking her rosy cheek. “Mmm. Me too.” Her words dissolved into a yawn. She nestled closer and her eyes drifted shut. A few minutes later, he heard her breathing shift into the slow cadence of sleep. He closed his eyes and rested his head against the seat back. Then he allowed his mind to float into contented oblivion, a small smile curving his lips. He couldn’t remember ever looking forward to a Christmas more than this one.